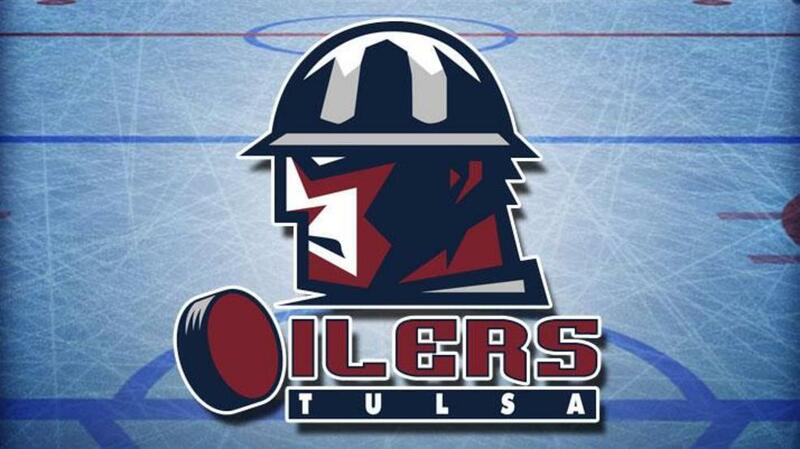 The long wait is over for the Tulsa Oilers (36-21-6). With a five-goal third period, the Oilers came back to beat the Kansas City Mavericks (32-24-5), 6-2, to clinch a spot in the Kelly Cup Playoffs, presented by Smile Direct Club, for the first time since the 2014-15 season. The Mavericks took an early lead when Loren Ulett capitalized on a 2-on-1 rush. Tulsa tied the game when Charlie Sampair scored on a short-handed breakaway. Ulett found a loose puck shortly after Sampair’s goal and buried his second of the period at the edge of the Oilers crease to make it 2-1 before the end of the opening frame. Both teams had their chances in the middle period, but neither team was able to change the score before the second break. Ian Keserich stopped all ten Kansas City shots, while Nick Schneider kept the Oilers off the board with eight saves in the period. Stephen Perfetto found a loose puck in the high slot and spun a shot into the net with 6:56 remaining in the game for a power play goal to tie things up at 2-2. Oilers defenseman Eric Drapluk then rifled a shot on a 4-on-2 rush into the top corner of the net to put Tulsa ahead for good. Dylan Bredo added an insurance goal from the left circle with 2:28 left to make it 4-2, and Roman Ammirato scored an empty netter with 1:14 to play. Charlie Sampair, for good measure, knocked a puck out of mid-air and into the net to make it 6-2 with 30 seconds left to complete a four-point game. Tulsa finished the night three points ahead of Idaho for first place in the Mountain Division with nine points to play, and became the third team in the ECHL to punch its ticket to the postseason. The Oilers have a week off before next heading to Wichita for two games against the Thunder at INTRUST Bank Arena Saturday and Sunday, Mar. 23-24. Catch all the action Saturday on the Sports Animal radio network, www.tulsaoilers.com or ECHL.TV, with pregame coverage starting at 6:45pm.